Home » Network Marketing » HOW TO SELL ANYTHING ANYTIME ANYWHERE. HOW TO SELL ANYTHING ANYTIME ANYWHERE. 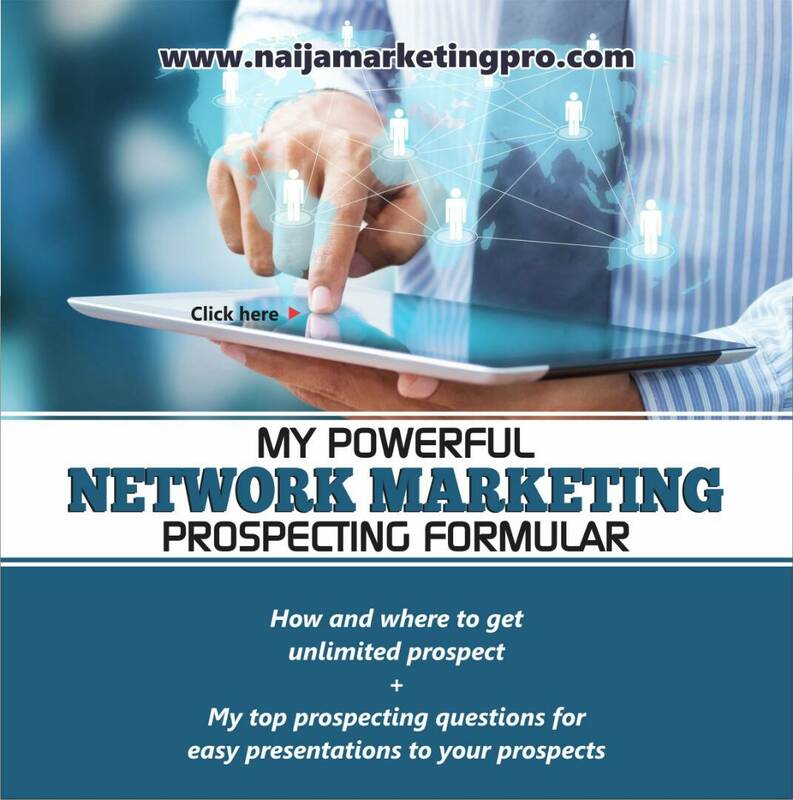 You may be the best salesperson in the world, you may even be the best network marketer in the world, what of if you are in the best company in the word? 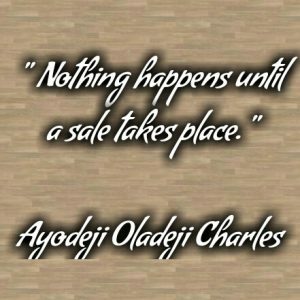 It is a stone cold fact that nothing will happen until a sale takes place. 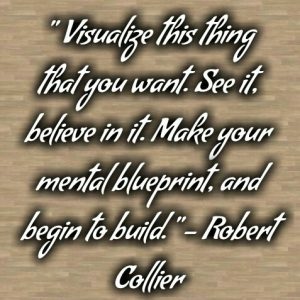 It is what goes on inside the mind of a person that wants to make a sale that makes all the difference. 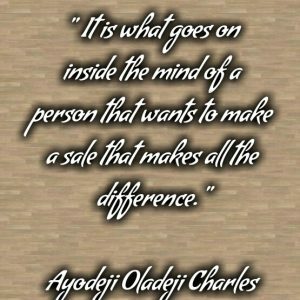 Because of this fact, I have packed some quotes for you to enable you win in the inner game of selling. In essence, there’s an inner game of selling, if you can’t conquer this game within, the rate to get the physical manifestation would be very low. 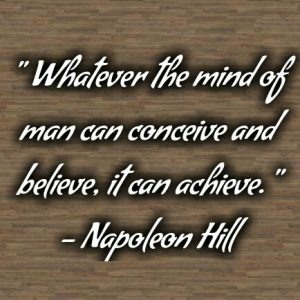 To be able to sell anything anytime anywhere, you must achieve your selling goals in your mind before you can ever achieve them in your reality. Imagine yourself as if you were already the kind of person you want to be, making the kind of sales you want to make. Look at the other people in your company who are making more sales than you and imagine that you are exactly like them. Picture yourself making sales calls because you enjoy meeting new people. This calm, self belief, confident, relaxed attitude, as if you were already making the kind of sales you want, will help you perform at your very best, with much less tension thereby helping you to sell anything anytime anywhere. But why would people buy your product or service? 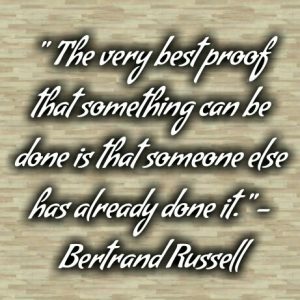 There are lots of researches that have been made and practiced on why people buy. There are different reasons why someone may buy your product or service. 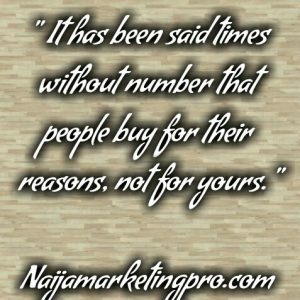 It has been said times without number that people buy for their reasons, not for yours. GIVE PEOPLE WHAT THEY WANT AND NOT WHAT YOU WANT. One of the biggest mistakes the amateurs make is asking people to buy for their own personal reasons, not for the reasons that actually motivate the customer to take action. 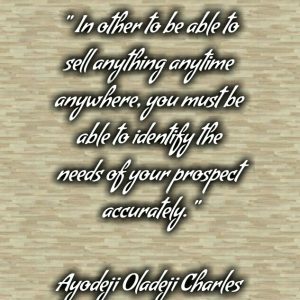 In other to be able to sell anything anytime anywhere, you must be able to identify the needs of your prospect accurately. If you want to be able to sell anything anytime anywhere, you must take whatever time is necessary and ask as many questions as possible to find out exactly why this particular prospect needs to buy your product or service at this time. If you fail to identify the prospect’s needs accurately, the entire sales process will grind to a halt. 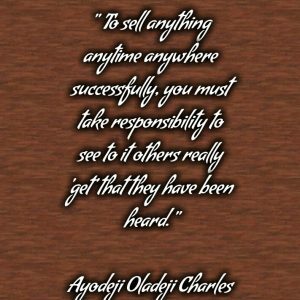 To sell anything anytime anywhere successfully, you must take responsibility to see to it others really ‘get’ that they have been heard. In any given conversation, it’s not the speaking that actually determines the effectiveness of the communication, but the listening. You must speak in such a way that your prospect can hear what you say, understand it, and be encouraged to action by it and you can actually listen the very same, creative way. Effective communication will cause your prospect to shift in their thinking, their actions, from negative to positive and begin to experience the awesome power of their possibilities. Here’s how to find out who your prospect is. Simply remember to ask about the following: family, live, occupation and motivation. 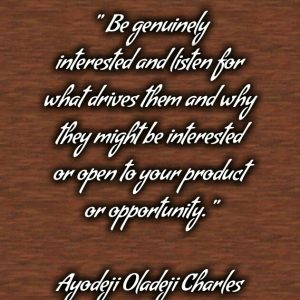 Be genuinely interested and listen for what drives them and why they might be interested or open to your product or opportunity. If you want your prospects to like you, if you want to develop real friendship at first meeting, if you want to help them at the same time helping yourself thereby making your sales. Then keep this concept in mind (Be genuinely interested in them). Ask questions about their live, families, friends, occupation and what motivate them to be involved in what they are doing currently for living. We are more willing to talk about our children. How they were able to excel in their chosen endeavours, how brilliant, beautiful and awesome they are. Make it an opportunity to ask about their family. By asking, ‘How is your family? It is a very cool way to reunite with those you have been out of reach with for a while. By asking this question, you build an instant bond, thereby giving you the chance to make your sales. With strangers, this is the best place to start a conversation. Everyone has to live somewhere. Even people who come from a very local place can be proud of their roots. A simple question like, ‘Are you from (put any state), you resemble someone I know from the (put the state)?’ can do wonders. The concept is to look for points of interests regarding a favourite region or current residence and dwell on it by asking questions and let the person brag about it. After you have opened up where a stranger is from, where they are leaving, another area to explore is their work. 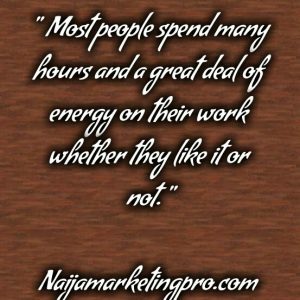 Most people spend many hours and a great deal of energy on their work whether they like it or not. 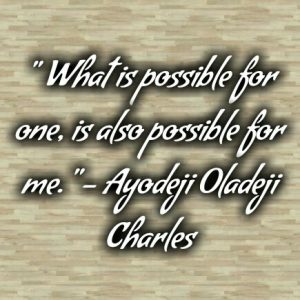 A simple questioning in this way can do wonders, ‘Where are you from?’ “Lagos.” ‘Oh, what do you do there’ and so on…..
You should be intentional in your questions and responses. Questions such as, ‘When did you start working there?’ or responses like, ‘Awesome, please tell me more about …’ will open the person up to talk about their interests and favourite subjects. When you ask them this kind of question, it exposes their satisfactions in their place of work to you or whether they are already fed up with their kind of work. You then present your solution based on their area of discontentment. What motivate them to be involved in what they are doing currently for living? Listen for what drives them and why they might be interested or open to your product or opportunity. This is where your gold is. People are excited to talk about their hobby, interests and what they like doing. What do they love doing? 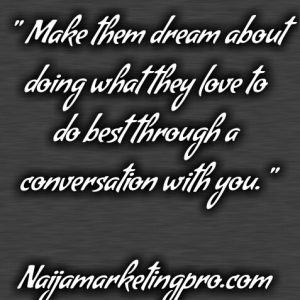 Make them dream about doing what they love to do best through a conversation with you. As they share their dream with you, they realize that they just don’t have the time or money to do what they will like to do. This is where you and your opportunity comes in with the awesome power of possibilities. 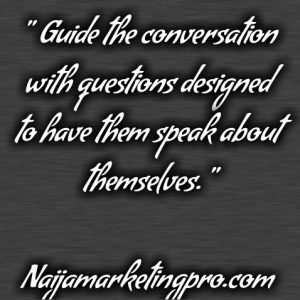 Your duty is to find out who your prospects are when you converse with them. Each prospect has unique reasons for being attracted to your opportunity. 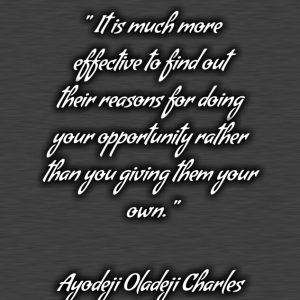 It is much more effective to find out their reasons for doing your opportunity rather than you giving them your own. LOOK FOR WHAT THEY VALUE MOST. What’s important to them and what’s missing in their lives and work? Explore their dreams, wants, expectations and aspirations. Explore the ‘seeds of discontent’ in their lives. Is it money they lack, or time to spend with family and friends? Whatever it is, you will never discover it by doing all the talking. Ask a question, then shut up and listen. Listen well without judgement. Guide the conversation with questions designed to have them speak about themselves. 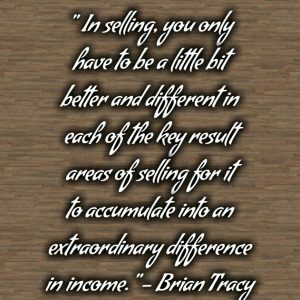 If you can do all these effectively, then, you will be able to sell anything anytime anywhere. I love the above quote!! !